In order to grow a beautiful lawn with a healthy root system, one of the essential tasks you should consider is lawn aeration. 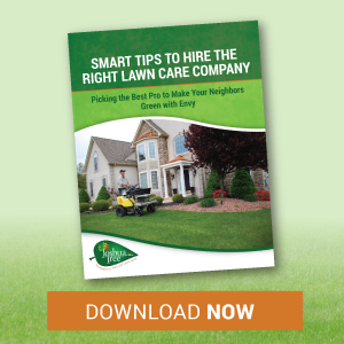 This task has the maximum benefit when performed each year, and involves a machine that travels over your lawn, pulling small cores of soil (approximately ½“ in diameter and 2-2.5” long) and depositing them back onto the surface of your lawn. 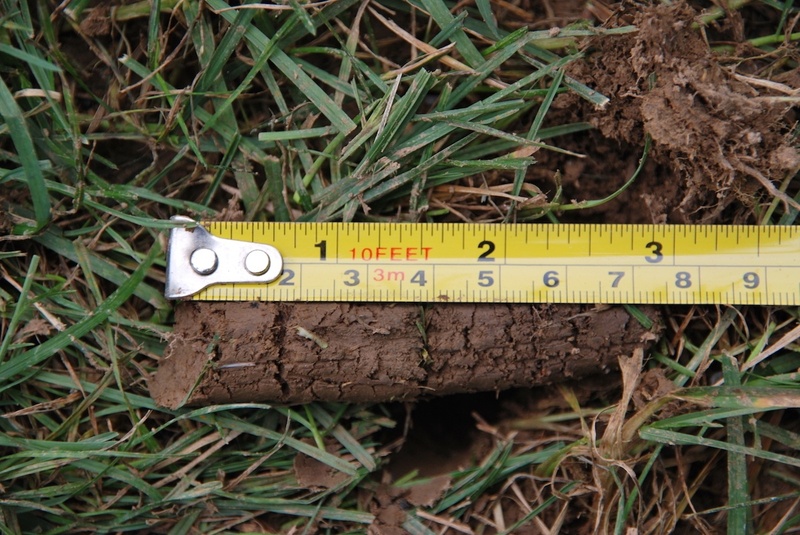 The resulting aeration cores break down over the next few weeks, recycling nutrients back into the soil. Lawn aerating is extremely beneficial for a number of other reasons, and is a lawn care task commonly performed to the most beautiful home lawns as well as to natural professional sports turf areas. While it’s actually possible to rent core aerators in our area and perform this service yourself, aerating a lawn is tough work. In addition to loading and transporting these machines, they are heavy and more difficult to operate than most homeowners expect. Add in the complication of trying to find the best time to fit this task into your schedule when thousands of other local residents are trying to do so as well, makes hiring a pro an attractive option. Hiring a lawn aerating service will ensure that your core aeration is being performed at the best possible time and in the best possible manner. At Joshua Tree, we utilize ride-on lawn aerators that will pull deeper cores than traditional aerators rental companies provide. These machines also allow us to easily pull more cores across your lawn, which means better results. We also perform not just one (like a lot of companies) but two passes over your lawn. This means more holes and twice as much bang for your buck! 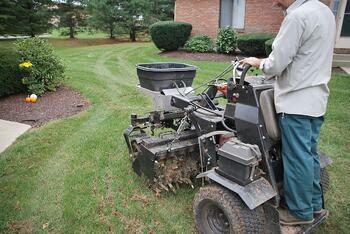 Some of our lawn care program options include lawn aeration as one of their valuable services. However, we also provide lawn aerating as a standalone service, should you choose to have it done less frequently. Feel free to contact us for a free estimate.